One thing I've learned at uni is the necessity that is simple cooking. From that, this recipe was born. 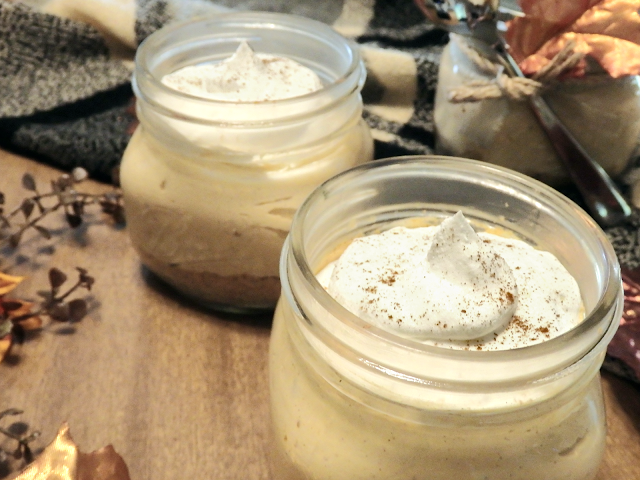 Originally I was going to make a classic no bake cheesecake, but with pumpkin spice popping up left and right, I decided to be in the spirit of the season and add a pumpkin twist. With that seasonal addition, this dessert is not only perfect to enjoy during the season as a whole, but also as a treat to share with family and friends during fall festivities, like Thanksgiving, or whenever you're feeling generous. This recipe yields one pie. 1. Crush graham crackers as finely as possible. 2. Mix with the melted butter. 3. Press the crust into your chosen container and let cool in the fridge. 1. 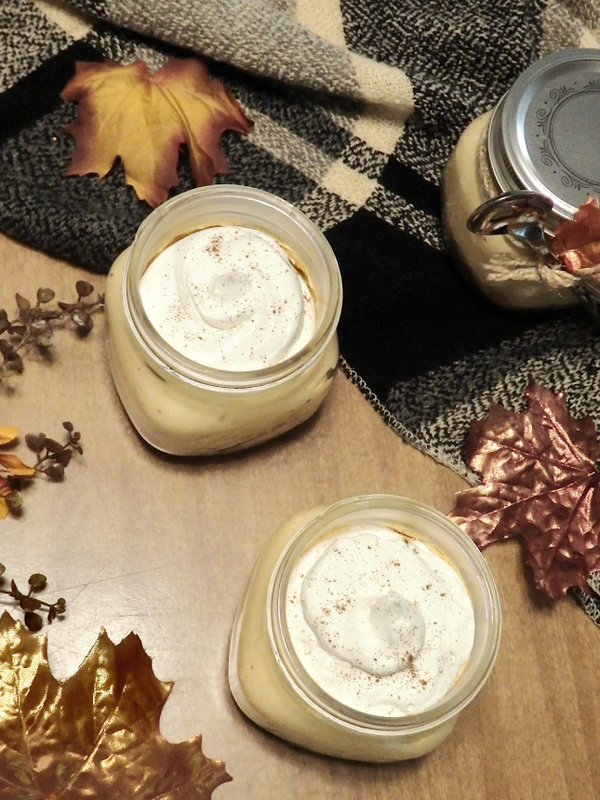 With a mixer, mix the cream cheese, pumpkin puree, vanilla, sugar, and pumpkin pie spice together until creamy. 2. Add half of the whipped topping to the mix and blend. 1. Spoon the pumpkin cheesecake mix onto the crust. 2. With a piping bag, or spoon, top the cheesecake with the whipped topping and sprinkle on cinnamon. 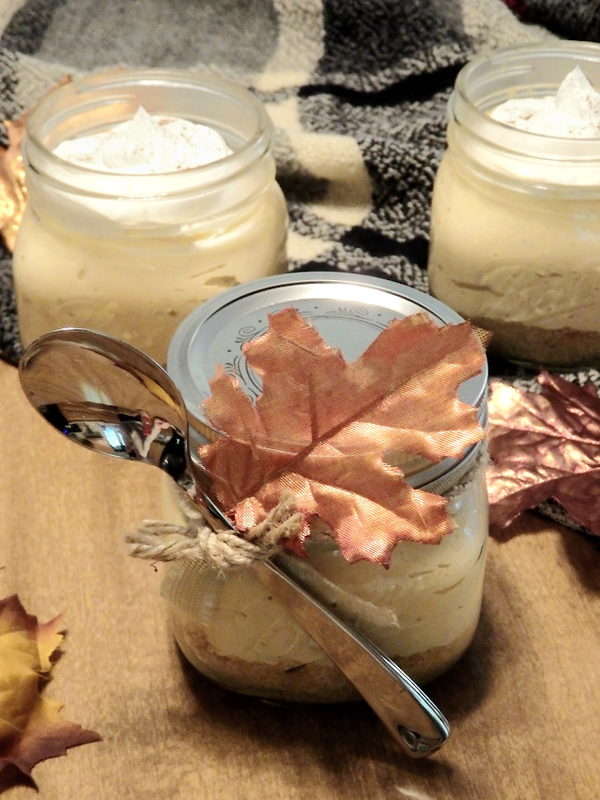 As shown in these photos, you can have fun with the presentation of this recipe by making individual cheesecakes, putting them in mason jars, and decorating them to your liking. I definitely recommend this for a gift, even if it isn't pumpkin flavored; I know I'd be ecstatic to receive something so cute and yummy! If you're not sold already, then let me just reiterate what is said in the title of this post- this is a NO BAKE recipe! Easy peasy! So get baking I mean making!! If you try this recipe, but sure to post a photo of your creation on Instagram. Tag/mention me in it and/or use the hashtag #mollymac! Hope you enjoy! Looks delicious! Definately going to be making this thank you for the recipe!